Palm sugar is a natural sweetener made by boiling the sap from sugar or palmyra palm flowers until it is reduced to sugar crystals. Coconut palm sugar is made in the same fashion, and the terms "coconut sugar," "coconut palm sugar," and "palm sugar" are often used interchangeably. And, though the sugars can generally be substituted for one another in recipes, they are not technically the same product. Palm sugar has a complex flavor reminiscent of caramel and may have smoky maple overtones. It is less sweet than refined white sugar. Palm sugar is used extensively in Southeast Asian cuisines. Palm sugar is often formed into cakes which must be shaved or grated for use in recipes. These can range from soft and crumbly to rock hard. Palm sugar is also available in a paste-like form, which is generally sold in plastic tubs. Recently, palm sugar in granulated form has come onto the market; this is easier to measure precisely and is a good choice for use in baking. Asian markets are a great source for palm sugar, but sometimes the selection can be overwhelming. Shop by the look and feel—many prefer the lighter colored palm sugar to dark versions. Softer, more pliable sugar is generally easier to work with, so give the packages a little squeeze to better ascertain the texture of the sugar inside. Be aware that inferior brands often mix palm sugar with refined white sugar and/or malt sugar. Check the ingredient list whenever possible, and be aware that sometimes, packages labeled "palm sugar" may, in fact, be coconut palm sugar, and vice versa. Importfood.com offers cakes of Thai palm sugar. Ingredients: Liquid from coconut blossom, white sugar, malt sugar. 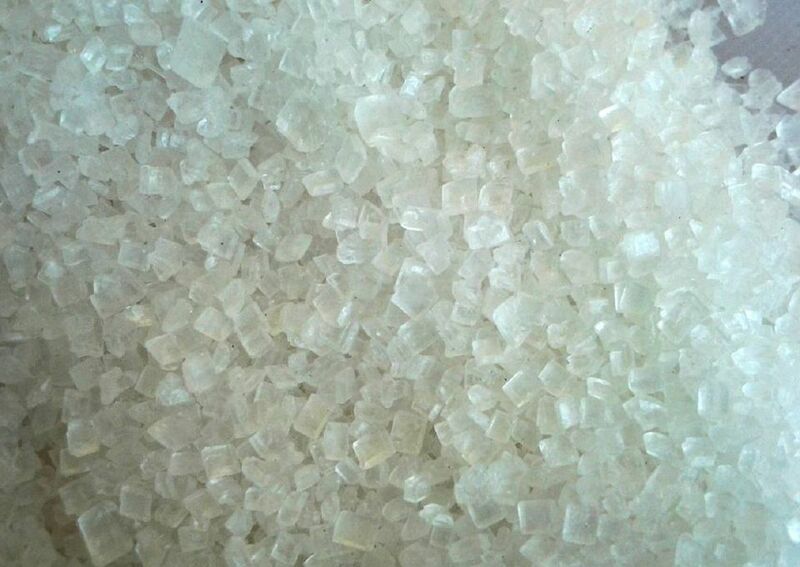 Amazon.com is a good source for a variety of palm sugars; several Amazon.com retailers offer pure palm sugar in cakes or tubs. Navitas Naturals sells a crystallized palm sugar made from coconut palm nectar. Certified USDA Organic. Earth Kosher Certified.